India’s most iconic and popular animation character “Chhota Bheem” has been upgraded to become more stylish and powerful. 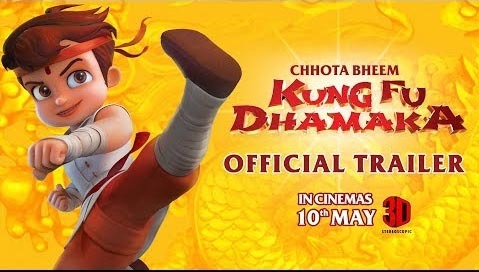 With killer Kung Fu moves and a great amount of fun as its driving force, Chhota Bheem: Kung Fu Dhamaka 3D, releases in theatres on the 10th of May, 2019. Directed by Rajiv Chilaka & Binayak Das and produced by Green Gold Animation, the producers have partnered with Yash Raj Films to give the film the widest ever release for an animation title in cinemas across India. You can catch a short glimpse of this epitome of excitement.